My Dad Is The Best Dad In The Universe from Barry Adams on Vimeo. Malchus in the Garden Skit Guys-HD from Journey Church on Vimeo. Sometimes we wonder how moms do it. From dirty diapers, to cheering on the next Rembrandt...they seem to just see things differently. Our moms see us differently. Watch as two dads get a glimpse at the way moms view the world...and then realize that it goes way beyond what they see. What is Father's Love Letter? Father's Love Letter is a compilation of Bible verses from both the Old & New Testaments that are presented in the form of a love letter from God to you. Each line in the Father's Love Letter message is paraphrased, which means we have taken each Scripture's overall message and summarized it as a single phrase to best express it's meaning. 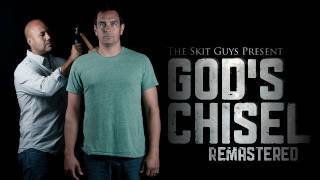 Download this video at http://skitguys.com/videos/item/gods-chisel-remastered When God chisels the dead weight out of our lives it can be quite painful. In one of their most requested skits, Tommy and Eddie give a very creative look at a typical believer having to go through the process of discipline. When we look at the death of Jesus on the cross in the light of the resurrection, we are looking at our salvation. But, what do we really see when we look at the cross? Are we looking at the appeasement of a monster god through barbaric child sacrifice? Or are we seeing something else? Is the cross vengeance or love? When Jesus says, "Father, forgive them, for they know not what they do," he is not asking God to act contrary to his nature. He is, in fact, revealing the very heart of God! The cross is not about the satisfaction of a vengeful monster god, the cross is the full revelation of a supremely merciful God! In Christ we discover a God who would rather die than kill his enemies. Once we know that God is revealed in Christ, we know what we are seeing when we look at the cross: The cross is where God in Christ absorbs sin and recycles it into forgiveness. The crucifixion is not what God inflicts upon Christ in order to forgive, but what God endures in Christ as he forgives. 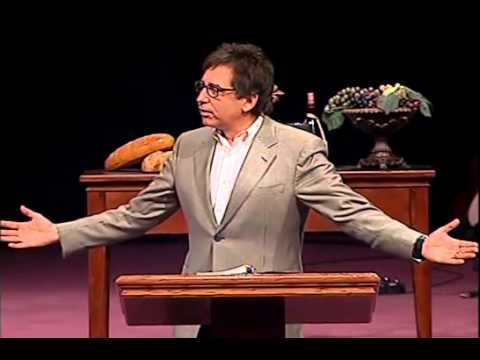 Brian Zahnd is the founder and lead pastor of Word of Life Church, a Christian congregation located in the heartland of America in Saint Joseph, Missouri. For 31 years, Brian and his wife Peri's vision for the church has been to be an authentic expression of the Kingdom of Jesus in a modern world. Brian is known for his focus on embracing the deep and long history of the Church and wholeheartedly participating in God's mission to redeem and restore His world. Michael Card, musician and author of The Biblical Imagination Series, a set of four books that cover the four gospels and their portraits of Jesus and a set of four companions albums that he recorded with inspiration from his work writing the books. Michael discusses his mentor William Lane and the way he was inspired by him to read scripture with "an informed imagination." He goes on to explain how the Biblical Imagination Series can do that for readers and listeners alike. What's it like being a dad? Teaching your teenager to drive, giving your kid's pet fish a funeral, explaining the birds and the bees, playing catch----fatherhood isn't something that happens all at once. It's a day in day out choice to show up for your kids. So...how much time you got? Music: Celeste (Instrumental) by Les Enfants. License by The Music Bed.